Bryce Estes Selected as Teacher of the Month! Bryce Estes was selected as the March Teacher of the Month by Superintendent Michalewicz. 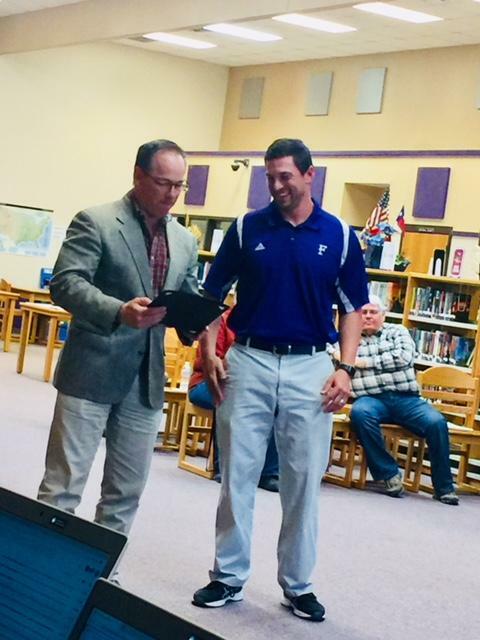 In her nomination of Coach Estes, Mrs. Beckerley said, "Coach Estes is an asset to our coaching staff and has been invaluable to the FMS office and staff while obtaining his administrative certification. 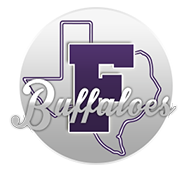 Coach Estes voluntarily provides his time to assist with Career Day, Needs Assessment process, student investigations, PBIS team (just to name a few), in addition to his duties as PE teacher and coach for multiple sports. Bryce has proven to be reliable and available for any new growth opportunity in order to help serve the campus. For these reasons, I nominate Coach Estes for Teacher of the Month." Congratulations Coach Estes!